Homegrown fresh tomatoes are, for some, one of the best things to come out of summer. Many gardeners watch their tomato plants all summer, waiting for the day when that first tomato can be picked and eaten. But, at times, that first bite can bring disappointment instead of joy when the tomato has a mushy, soft texture instead of the expected firm, juicy taste. Growing techniques, plants and over-watering can all impact a tomato. The tomato plant loves heat and flourishes in warm environments. You should not plant your tomatoes until the soil temperature has reached 55 to 60 degrees Fahrenheit and your air temperatures are not falling below 60 degrees. If you plant your tomatoes and then have a cold spell, cover the plants with a sheet, newspaper or other protective item. 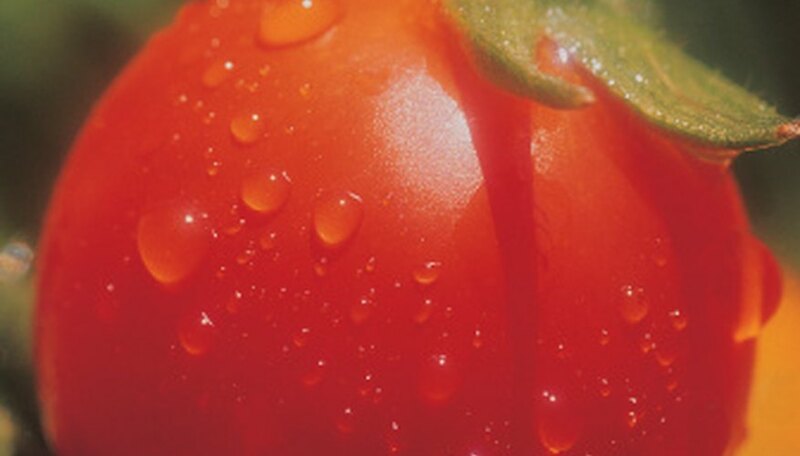 If your tomatoes get too cold, the insides can break down, resulting in a mushy tomato.